This single-ply gauze is 100% mesh. 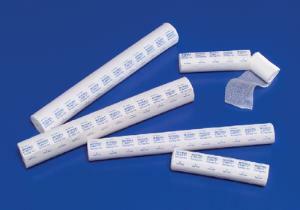 Ready-cut bandages are supplied in precut rolls and wrapped with slit paper bands for easy unwrapping. The nonsterile gauze is ideal for slings, binders, and restraints.